Roan and Kay are students of the Faith School now. While they should be the happiest they've ever been, they are both disturbed by their dreams. Roan fears his past and Kay fears what she's becoming. Faith and Moonlight: Part 2 is a case of the other shoe dropping. Not in a bad way, but in the sense that the school isn't the cheery place for talented students Roan and Kay believed it was. Like many fantasy schools, the Faith School is far more brutal than it appeared on the outside. Roan and Kay are fighting not just for their futures, but perhaps their lives as duels between students can become devastating and the possible future for those who don't make the tournament is dismal. In the last book I was more interested in Roan as a character. His back story and devotion were significant. Roan doesn't show much growth in this story outside of learning more about the Faith School from Gideon and Dreah. Kay on the other hand had her deep well of fear and uncertainty turned into something quite intriguing. There are rumors that others have taken things to gain entrance in the Faith School and some say at least one person who did so became a monster because of it. Kay's worries are what makes this story work because it doesn't seem to simply be in her head like the last book. Faith and Moonlight: Part 2 is a strong continuation in the unorthodox Echoes of the Ascended series. Tony Stark is concerned he hasn't been spending enough time in the lab. He's supposed to be the cutting edge for technology, but his Iron Man suit is behind the times. So Tony made a new, all in one suit. Meanwhile Madame Masque is playing a dangerous game in Latveria that Tony is determined to stop. He receives help from the most unexpected of individuals. Reboot was really good. 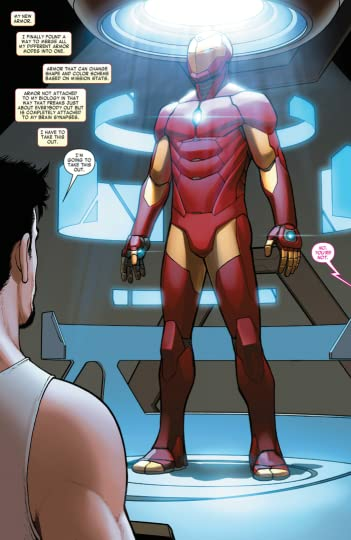 Brian Michael Bendis's Tony Stark is more akin to the film version of Tony played by Robert Downey Jr. The brilliance, arrogance, humor, and occasional self loathing are fully on display and it just made the story a lot of fun. 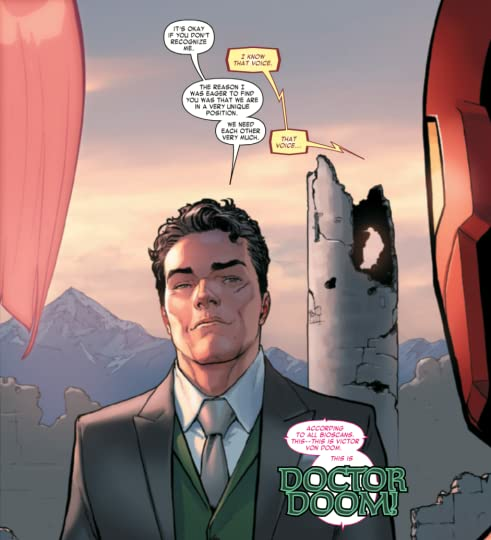 Unbelievably Victor Von Doom, healed face and all after Secret Wars, has appeared to help Tony. Doom isn't sporting a single recognizable part of his Dr. Doom outfit, but his power hasn't change at all. For some unexplained reason Victor, who now looks like a simple businessman, wants to help Tony. He even goes through the effort to prove he's genuine. Everything about Reboot was really fun. 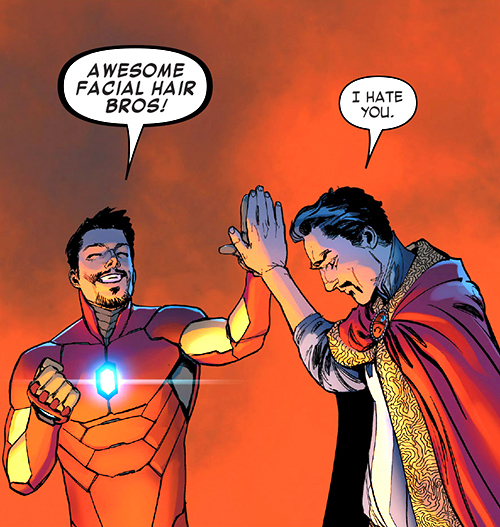 I hope to see Tony and Victor keep teaming up as the series continues.